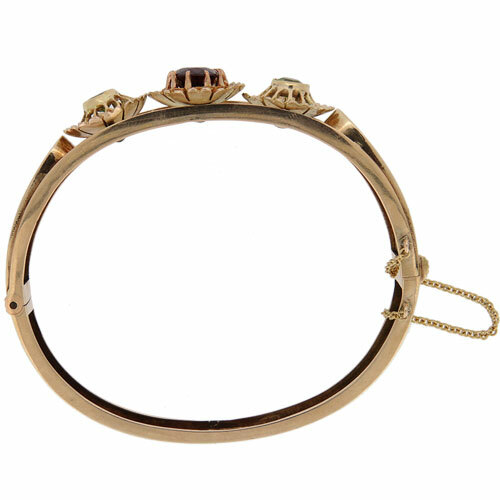 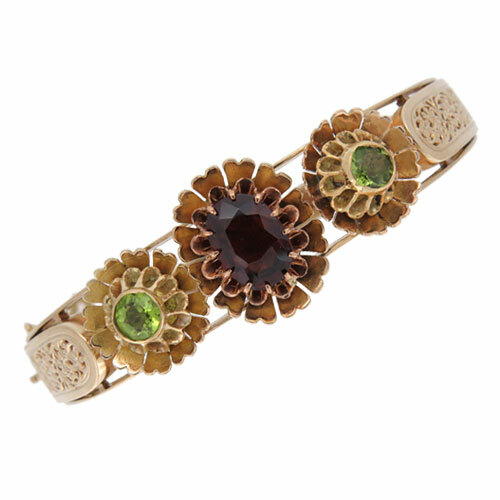 A classic antique half hinged gold bangle comprising a central oval cut garnet flanked by two circular cut peridots. 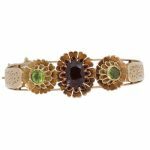 Floral style setting with filigree patterns to side and with box clasp and safety chain. 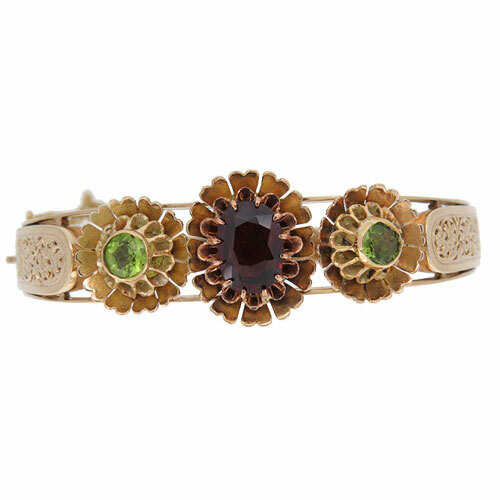 Tested as 15 carat yellow gold circa 1890.